While the crazy-as-hell first round of the NCAA Tournament was finishing up, there were a bunch of NBA games on last night. I know! I’m surprised too! In one of them, the Blazers played the sad sack Pelicans, and in the fourth quarter, Kendrick Perkins tried to pop Damian Lillard’s head off. 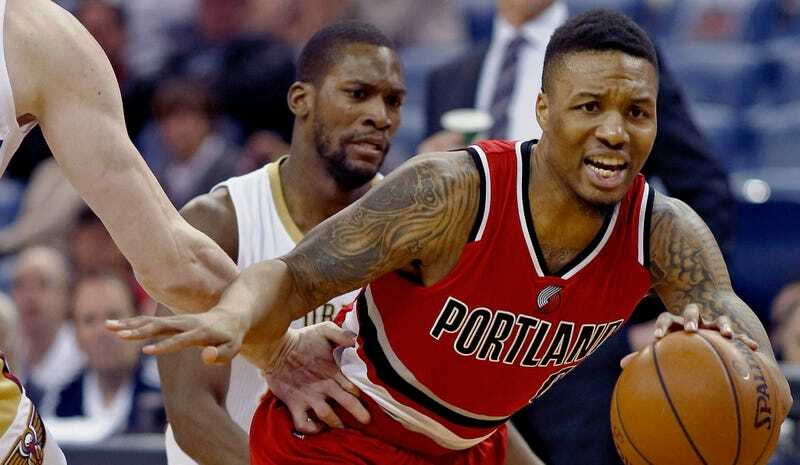 The Blazers gained half a game over the Rockets for the six seed with the win. They’re still 3.5 out of the five seed, behind Memphis.